The city is seeing a positive impact in the economy through the program. TEMPE — The city of Tempe is hoping to make a pilot program more permanent. 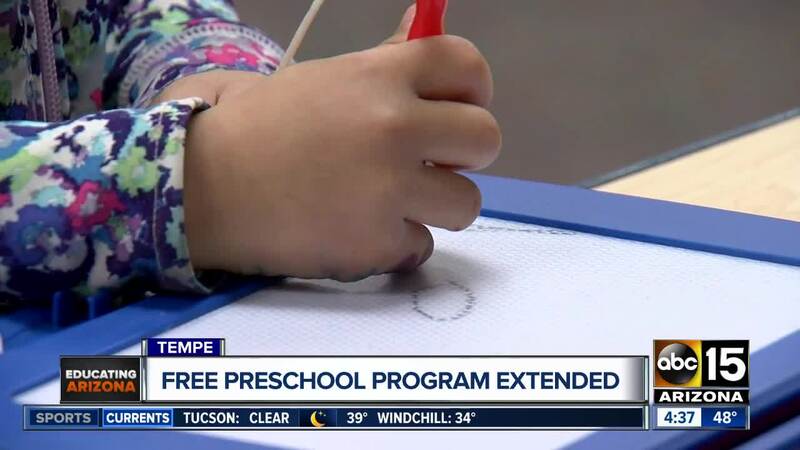 Tempe Preschool Resource Expansion (PRE) is a free all-day, year-round program for lower income families in the city that was approved by the city council two years ago. "I mean, it's huge and for those families that will qualify financially... it's life-changing," said Valley mother Christine Markely back when the program was first launched. While education was the focus, city officials said they have seen an economic impact, as well. "We're seeing things like people are working more hours, able to go back to work, go back to school, our families are getting off public assistance," explained Tempe City Councilmember Randy Keating. The council recently approved to fund the program for another two years and to work toward finding a more permanent funding solution. Keating said that he hopes the program can expand to include more kids, more income levels, and even more cities. "It's just going to be a matter of finding the revenues to be able to do something like that," Keating explained. "Whether that's through cost-saving, through additionally revenues... that's something the working group is going to look over in the next year to two years." The program will begin accepting new applications in March. They have free, reduced-rate, and full-pay tuition available. To learn about the application process, click here .